Buildings and monuments constructed many years ago, can suffer damage from environmental loading, and current design codes are not meaningful in making assessments. Some of these structures represent the only one of their kind nationally, and even internationally. Understanding and protecting against the environmental pressures on a heritage structure requires expert insight into the prevailing dynamics. Eatec Dynamics offer a holistic approach to solving dynamics based problems; utilising its expert knowledge and measurement capabilities. Eatec Dynamics provide a complete investigative approach to dynamics problems. 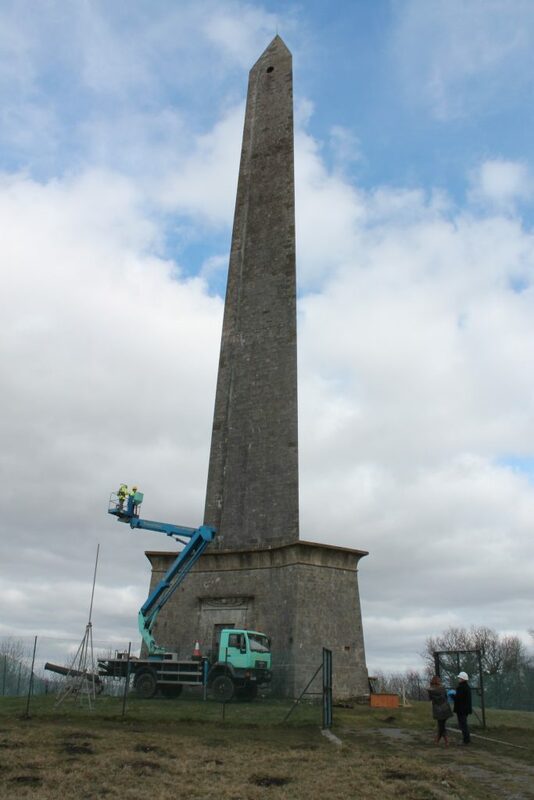 Erected to celebrate the Duke of Wellington’s victory at the Battle of Waterloo, the Wellington Monument (Blackdown Hills, Somerset) is the tallest three-sided obelisk in the world. Facing stone is starting to break away and the cause was unknown. 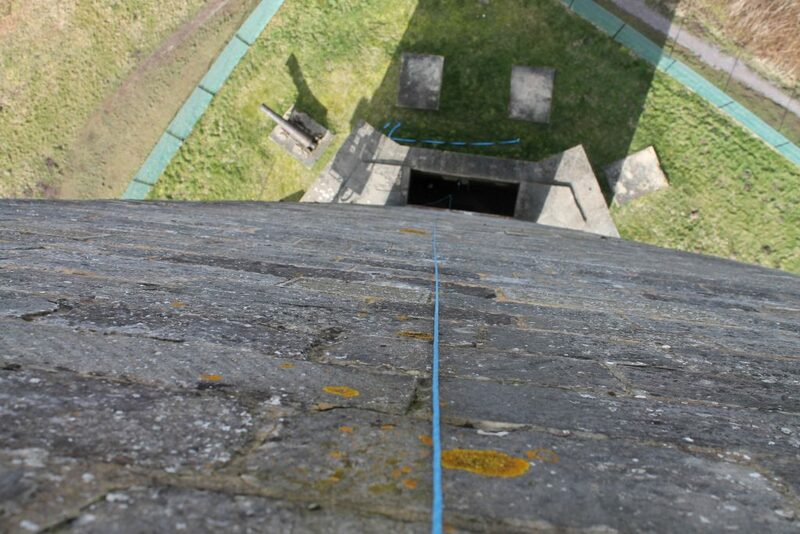 The National Trust used Eatec Dynamics to help understand if wind loading and flexing of the monument was the possible cause of growing cracks. 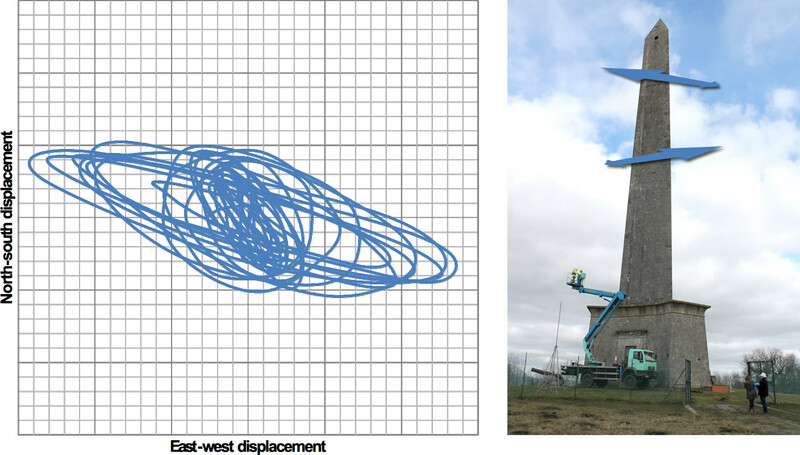 Eatec Dynamics designed a monitoring exercise to relate the movement of the monument to wind speeds and directions. 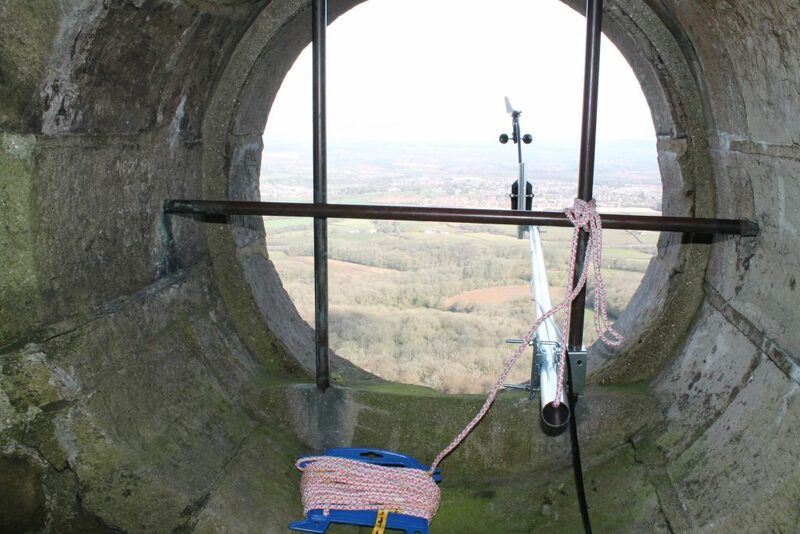 Sensitive accelerometers were installed to determine the sideways motion and twist at the top of the obelisk, and anemometers recorded the wind speed at the top, mid-height and base of the tower. Measurements recorded during strong winds were transmitted via a mobile telecommunications network for remote data processing. Eatec Dynamics were able to show that eddies produced by the flow of air over the obelisk sharp vertical vertices cause an elliptical motion of the top of the monument. This motion changed magnitude and orientation dependent on the wind speed and direction. 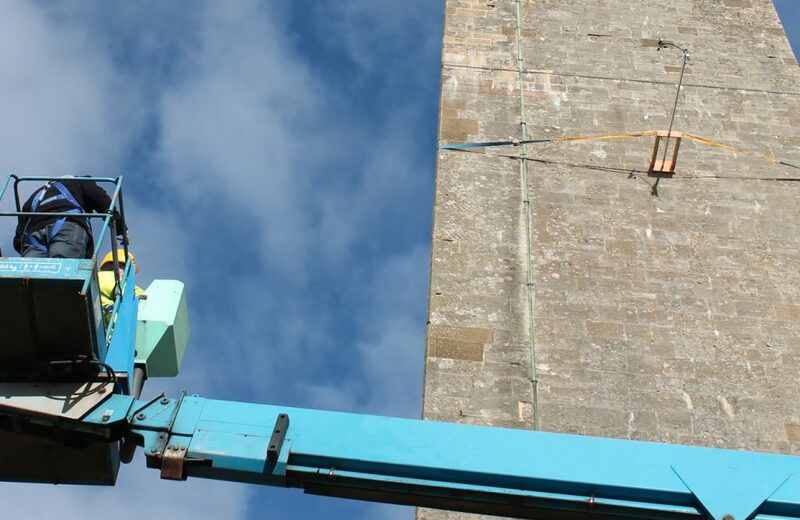 The results were used together with other surveys to help the National Trust find a permanent solution to the environmental damage to the Wellington Monument.